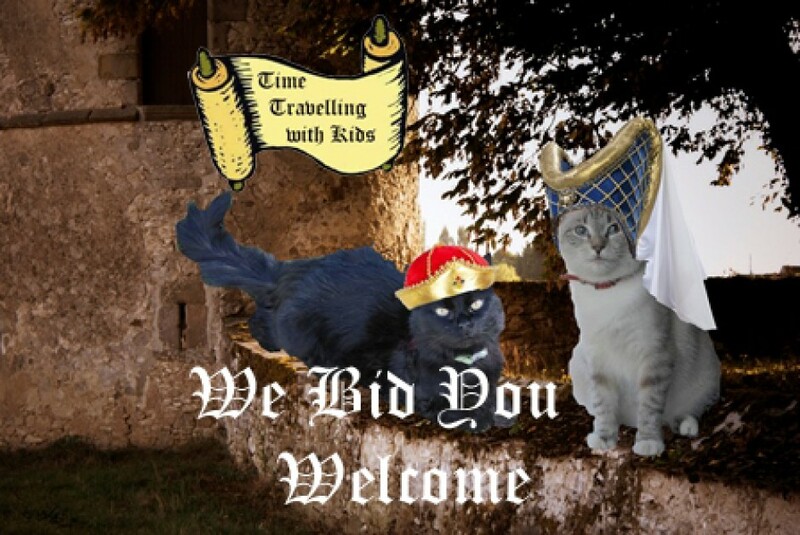 The Victorian era produced a number of inventions. 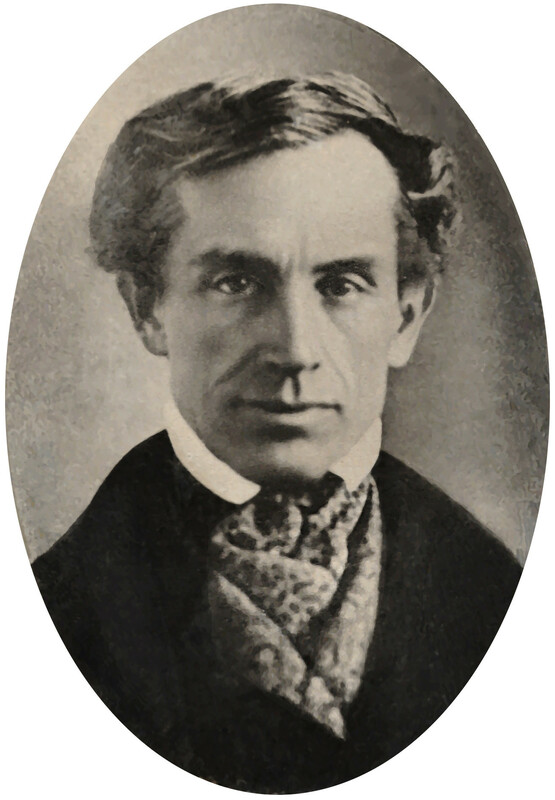 The above marks mean: “what hath God wrought”, which was the message American inventor and painter, Samuel Morse, used in 1844 while demonstrating his telegraph device to Congress. Transmitted over a wire between Washington and Baltimore, it involved tapping out letters represented by dots and dashes in a code that would come to be known as the Morse Code. My father was a signalman during WW II, and although I evinced a brief interest in having him share his knowledge of Morse Code with me around the age of thirteen, I can now really only remember the emergency signal … — … (SOS) with any certainty. Since today is Learn Your Name in Morse Code Day, your kids might enjoy learning theirs. 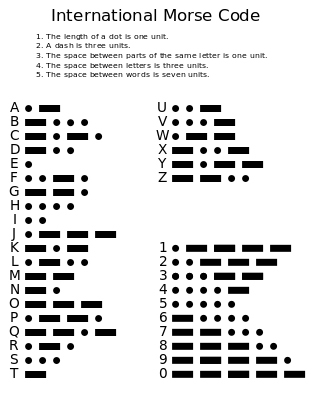 A Morse Code chart is below, and an actual Morse Code translator can be found at: http://morsecode.scphillips.com/jtranslator.html.